200 Retail Review episodes... can you believe it? I certainly can't. 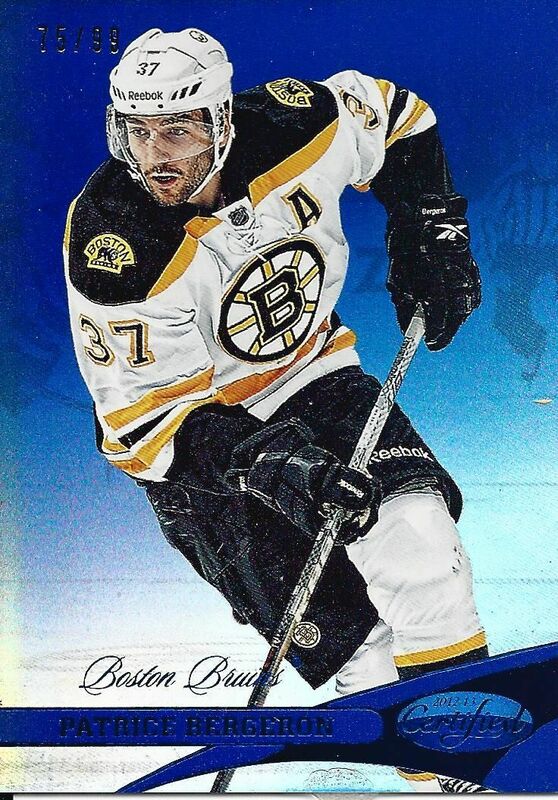 I started Retail Review a few years back to just add a little more content to my site when I wasn't doing hobby box reviews, and it has taken on a life all its own. I've enjoyed doing Retail Review and hope to continue on for a long time! Hopefully one of these days a really massive pull will come out... that was always the goal! It's hard to cook up something super special for a milestone like this, so I just went with opening a second blaster to go with the regular hockey one. Just keepin' it simple. I decided on opening up Cooperstown because it's from a different sport - and I wouldn't really want to open it in its own Retail Review episode. A lot of hockey fans are also baseball fans, so I thought some would enjoy seeing it. I chose to go with Certified as my main blaster to open today because I thought it'd be nice to see a hit come out. There were lots of other choices I could have gone with, but it's hard to beat a sure thing. My hope is that the hit is actually good. I'll start with the Cooperstown box... it was actually a very fun box to open. Each pack had a special insert card of some kind and all the cards had plenty to look at on them. 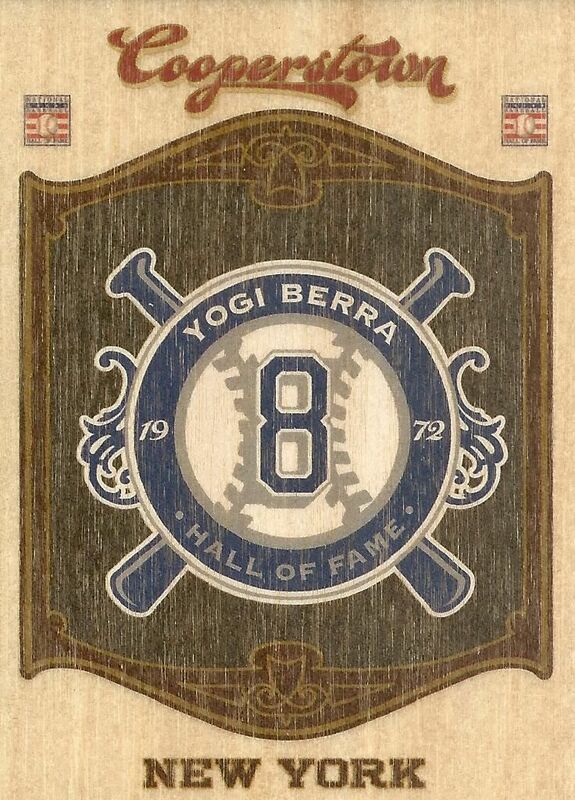 The nostalgic design of the cards really went with the Hall of Fame theme that the set is all about. Panini did a very nice job with these in terms of being a set that can really educate collectors on the greatest players in baseball history. The Certified blaster gave me pretty much everything I thought it would - 1 all base pack, 1 pack with a parallel, and 1 pack with the hit. You gotta love Certified for being consistent! I didn't get the greatest hit, and it came in the form of a redemption, but I'd take an autograph over a regular jersey swatch just about any day! Mirror Blue cards are a little rarer than their red counterparts. This years version look especially great. I love how the blue shimmers when shown in the light! I LOVE it when companies make inserts that utilize special textures or that stand out. This particular card has a wood grain feel to it. Back in the day, cards like these would have been highly sought after. When I opened up the Certified blaster and didn't see a thicker pack, I figured that the blaster must have contained an autograph. I had no idea it would be in the form of a redemption though! This redemption expired in 2014, but Panini has been really good about honoring their expired redemption cards. I'll let you guys, the readers of Retail Review, find out for me. 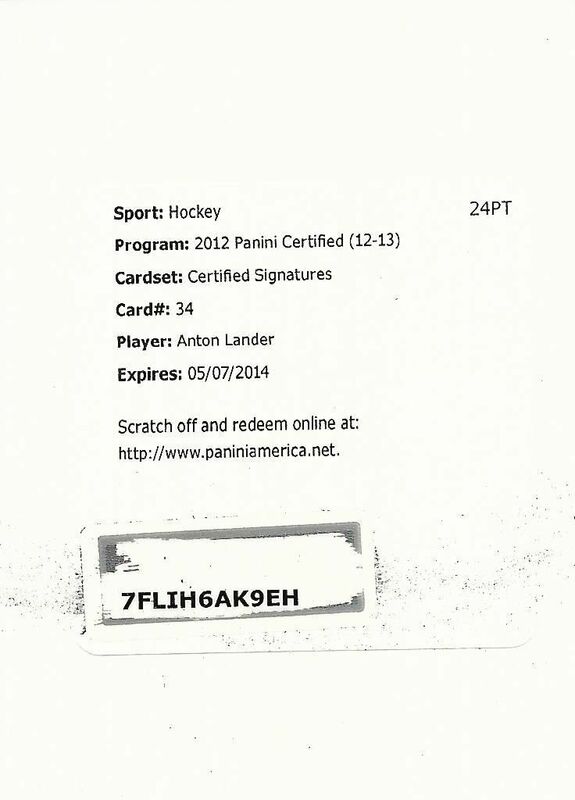 I scratched off the code on the card for you to see but did not go to Panini.com to redeem it. I leave that to the person who reads this and wants to try it first! Good luck! Both blasters were pretty solid and I enjoyed them both for different reasons. The Cooperstown blaster was a nostalgic look at baseball of old. It's a very class set that I think can withstand the test of time. Sure, being low-end it's not going to be a money maker, but it's awesome for what it is. The Certified blaster gave me a card numbered to less than 100 and an autographed card. That is definitely sweet. My only wish would be for some slightly different players... but hey... I'm not going to complain too much! I wanted to say congrats on 3k and 200 retail reviews keep up the great work. I cant wait to get the lander!